What Are Evergreens? Must They Be Green? The term "evergreen" means having foliage that persists (as opposed to dropping) and retains its color throughout the year, rather than changing color according to the seasons. The term is something of a misnomer, as the color in question need not be green. For instance, Colorado blue spruce trees (Picea pungens) are evergreens, but the color they retain throughout the year is a silvery blue. There are also plants with golden foliage that keep that color year round, such as Chamaecyparis pisifera 'King's Gold'. These plants qualify under the definition, even though their leaves (needles) are not green. Trees and shrubs can be classified as either evergreen or deciduous. Another term that comes into play here is "conifer." Many conifer trees are evergreen, but not all, so the two words are not synonymous, even though some people mistakenly use them that way. The Tamarack, or "larch" tree (Larix), for example, is a conifer, but it is not an evergreen. Is a Pine an Evergreen? Those who have never paid much attention to plant identification sometimes erroneously treat "pine" and "evergreen" as if they were synonyms. 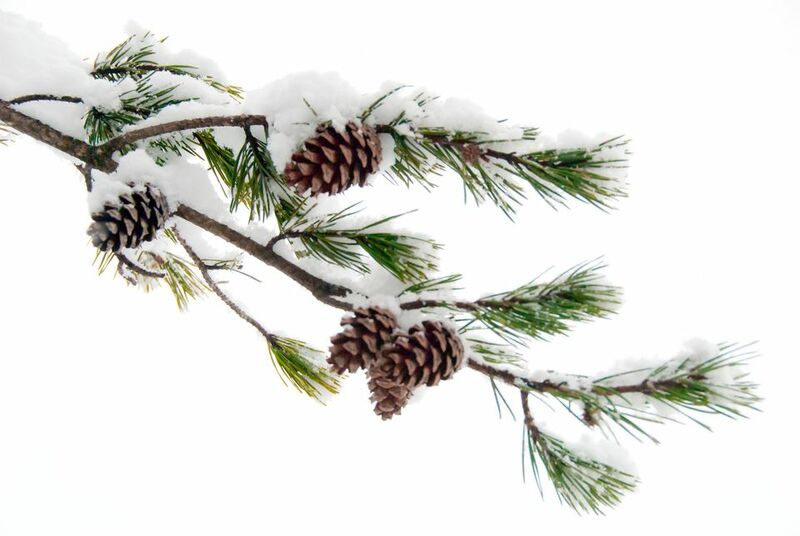 Pines are, indeed, evergreens, but they comprise only one group under the "evergreen" umbrella. If you take a close look at the needles of Canadian hemlock trees or yew shrubs, for example, you will see that they are short and flat -- very much unlike the needles of eastern white pine trees or mugo pine trees. Still, other needled evergreens have needles that are awl-like, scale-like, or blade-like. If you wish to grow a hedge to form a "living wall" for privacy, evergreens will give you that privacy year round. Winter landscaping is a challenge in northern climes. Northerners seeking year-round color in the yard rely on evergreens to furnish color in the winter yard.